Great Way to Use Leftover Roasted Potatoes! One of the reasons why I love frittata's is that they are perfect for using up almost any leftover. I've made them with almost everything- pasta, vegetables, sausage, pepperoni, chicken, you name it. 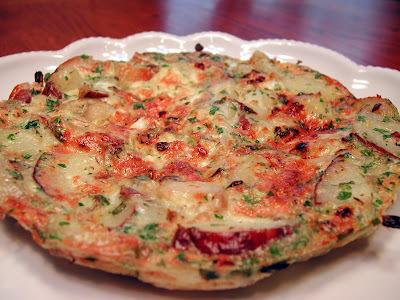 The potato and scallion (or onion) frittata s a classic combination. There is just something about this combo that screams comfort food. I made this a light version by omitting some of the egg yolks but feel free to use the entire egg if you want. Place oil in a medium oven proof skillet over medium heat; add scallions and garlic. Cook for 2-3 minutes until scallions are soft but not brown. Add the potatoes and mix well. In a large bowl combine the eggs and milk. Add the parsley, salt, and pepper. Stir to combine. Pour the mixture into the skillet and mix all ingredients. Allow mixture to set for a minute and stir to form large curds. With the top still wet, place the skillet under the broiler for about 3 to 4 minutes. Remove from the oven and let set for 5 on a cooling rack. That's the thing I love about fritattas too. You can use so many leftover items from your fridge to make them!! This looks yummy and healthy since you omitted some of the egg yolks. It looks great, but more importantly it's fun to say: fri-ta-ttas! Looks great, although I love anything with potatos! I'll have to check my fridge and see what leftovers I've got that could go in a frittata. That looks great. And hello from another Annie. 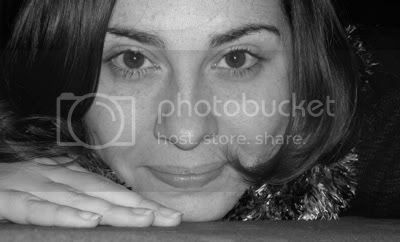 Found you on blogged.com, in case you're keeping track of these things. This looks great! I agree with Emma, on getting rid of the left overs thing. You can just toss in whatever is lying around. Hey, and I have 5 egg whites in the fridge right now!